CITI is located at Faculdade de Ciências e Tecnologia da Universidade Nova de Lisboa. Campus Location at the south bank of the river Tagus. 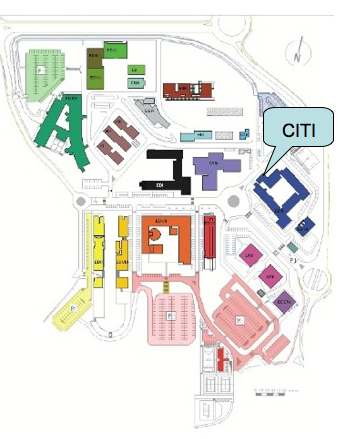 Campus Map showing CITI location in the north face of Building II.